September | 2014 | You hear that?!? 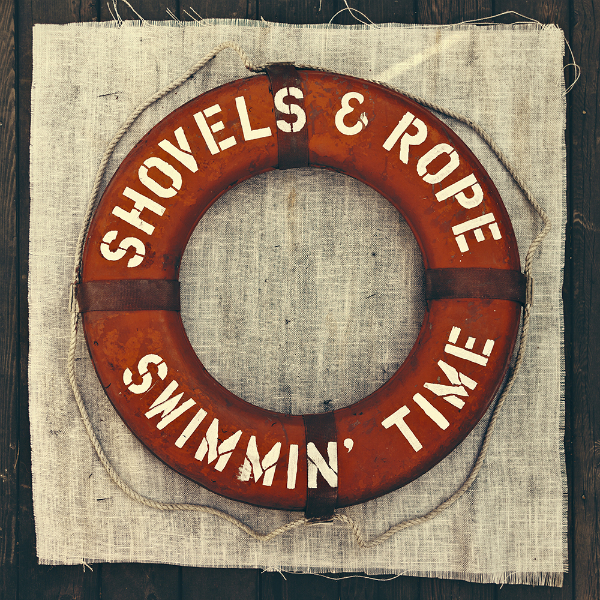 I really like this Shovels & Rope album. That’s the short version, at least. The long version won’t be all that long, but I did want to point out something that I think is really special about what Shovels & Rope are doing. This past Saturday, I had the pleasure of joining Doug Nunnally for an hour of his Sound Gaze show on WDCE. We had an awesome conversation — both while we were on the air and in between interview segments — covering everything from Fall Line Fest and Richmond music in general to the value of negative criticism and my Spotify stalking habit. I’d never been a guest on someone’s radio show like this (you’ll hear me exhaling before answers in an attempt to calm my nerves), but Doug asked really thoughtful questions and made the whole experience an incredibly positive one. Getting to talk to someone who loves music as much as Doug so clearly does is a rare treat, and I’m looking forward to the next time we can chat like this, be that on the radio or elsewhere. Take a listen below — I come in around the 30-minute mark, but I recommend listening to the whole thing, because Sound Gaze is a great show and Doug’s a great host (he’s also a great writer — check out his recent Foo Fighters piece for rvamag.com here). [cracks knuckles] OK, it’s been a hot minute since I wrote one of these blog things, so let’s see if I can remember how to do this. Band I feel strongly about? Check? Experience with that band I can’t not share with the whole damn Internet? Check. Picture to put at the top/song to put at the bottom? Check and check. Landlady! Remember them? I wrote glowingly of their 2014 album Upright Behavior just before going on baby break. My feelings have only grown since. We shared a Twitter exchange about Spotify’s inadequate payout system, I ordered and received a special Coke-bottle-green pressing of Upright Behavior from Bandcamp, I got to see them perform last Friday night as part of the second-annual Fall Line Fest… it’s been a torrid affair — rewarding in ways I couldn’t have guessed it would be. Mrs. YHT and I have been fairly bunkered-in lately, which shouldn’t come as a surprise to those of you who have kids and remember what that first month was like. In some ways, it’s felt like a month-long snow day — you huddle close, maybe start a new series on Netflix (we’ve knocked out more than three seasons of Friday Night Lights) and the most contact you have with the outside world some days is noticing the temperature of the air that rushes in when you open the back door to throw a can in the recycling. Much more of the outside world rushed in when I went back to work, but the snow day resumes every evening when I get home. It’s just as magical as an actual snow day, just replace the sense of spontaneous freedom with its polar opposite — a sense of responsibility you’ve spent months joynervously preparing to shoulder. As amazing as the bunkered life has been, venturing out for Friday of Fall Line Fest was a real treat.